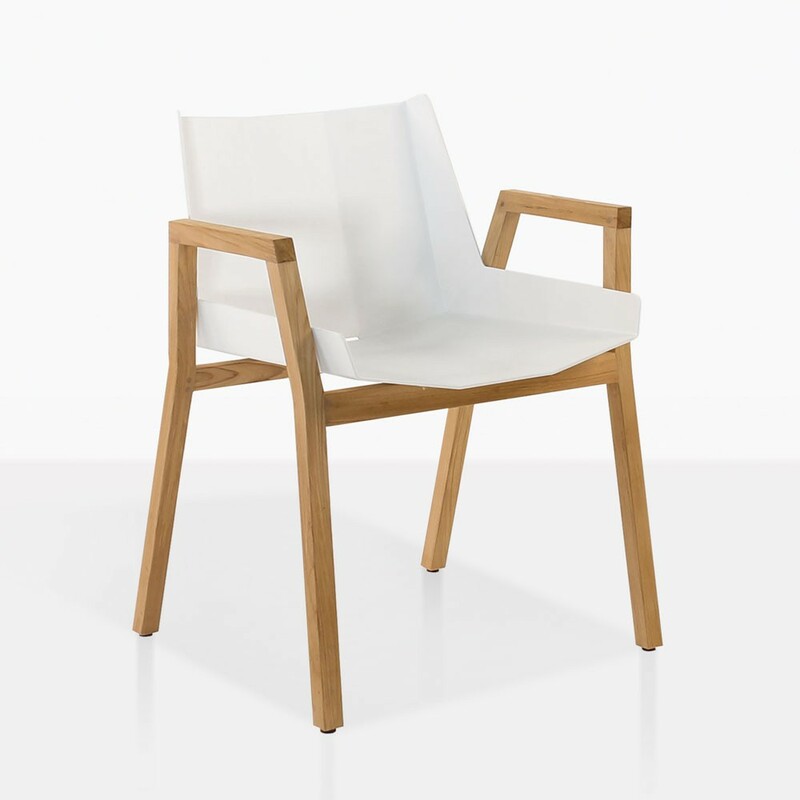 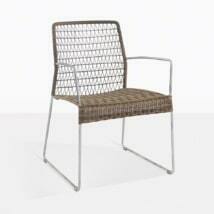 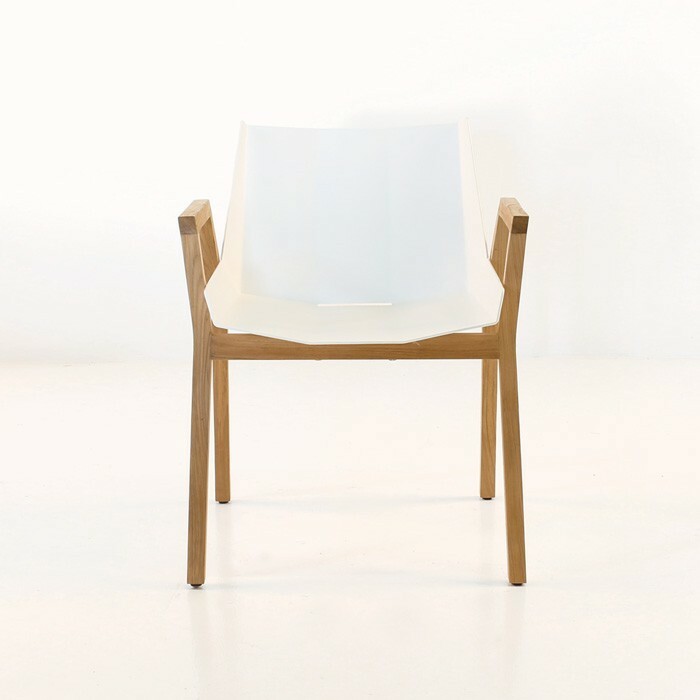 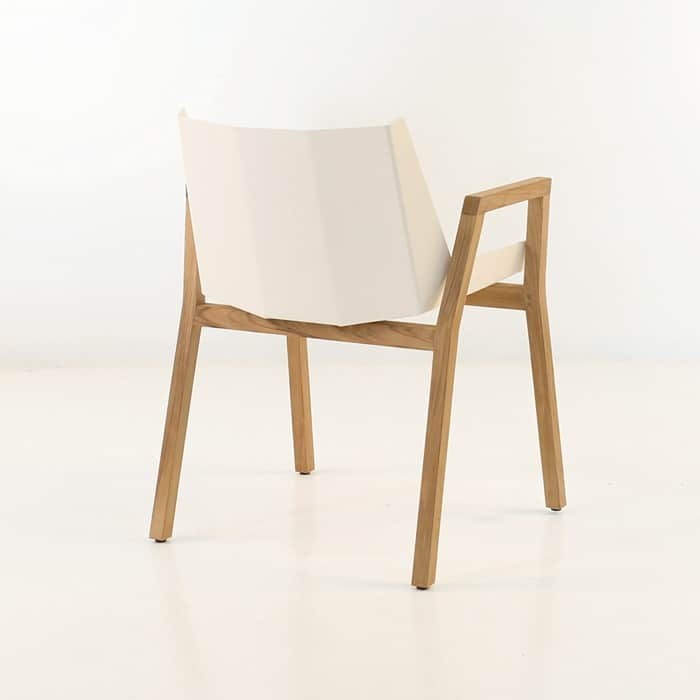 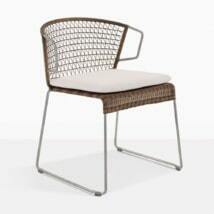 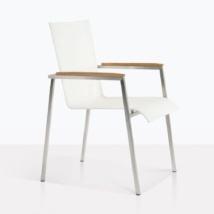 The Elements Outdoor Dining Arm Chair has a sophistication and design that makes it standout and look smart. 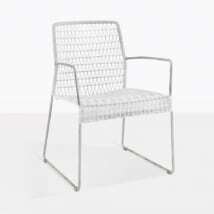 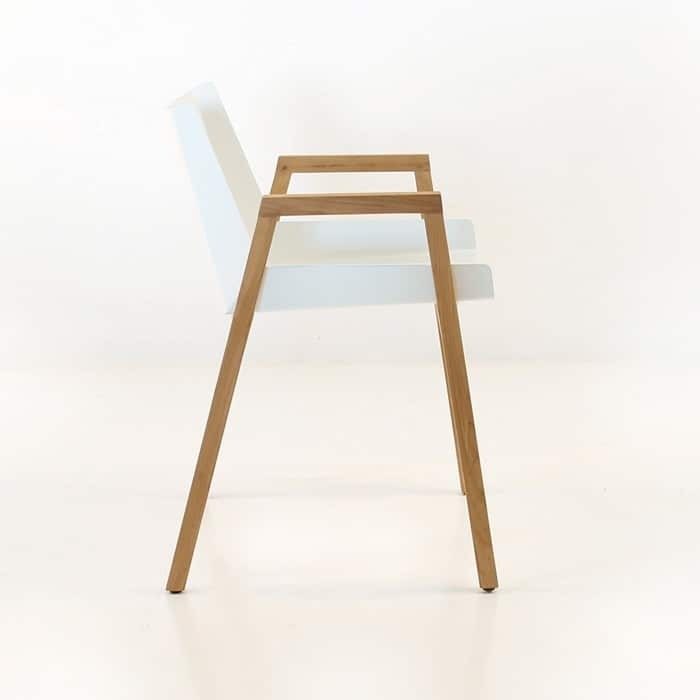 The a-grade teak frame that extends to the arms adds a natural warmth to the industrial aluminum seat allowing for this sharp design. Pair these chairs with any of our concrete or a-grade teak dining tables.